Blade length : 68.79 cm or 27.08inches. Sori : 1.8cm or 0.7 inches. Width at the hamachi : 2.87cm or 1.13inches. Width at the Kissaki : 1.9cm or 0.75inches. Kasane : 0.66cm or 0.6inches. Shape : O-suriage mumei with bohi engraved at both side of blade. It has deep sori and it is eleegant shape katana. Jitetsu :Koitame hada with mixture of komokume hada. JInie is well attached and chike is seen. Hamon : Konie structure with suguha and koashi attached. The ha is bright and clear . Boushi is round ended. he has successfully mix the skill of rai jigane and Kyushu jigane. He has bee nsuccessful in Higo Kikuchi area. Higo Enju school was reported as Rai Kuniyuki school. like Kunitoshi ,Kunitoki, Kuniyasu. Muniyoshi, Kuninobu and so on. They worked from late Kamakura period to Nanbokucho period who were very similar with Rai school. Tsuba :Iron plate round tsuba with Peony design engraved and inlayed with gold, silver and bronze. 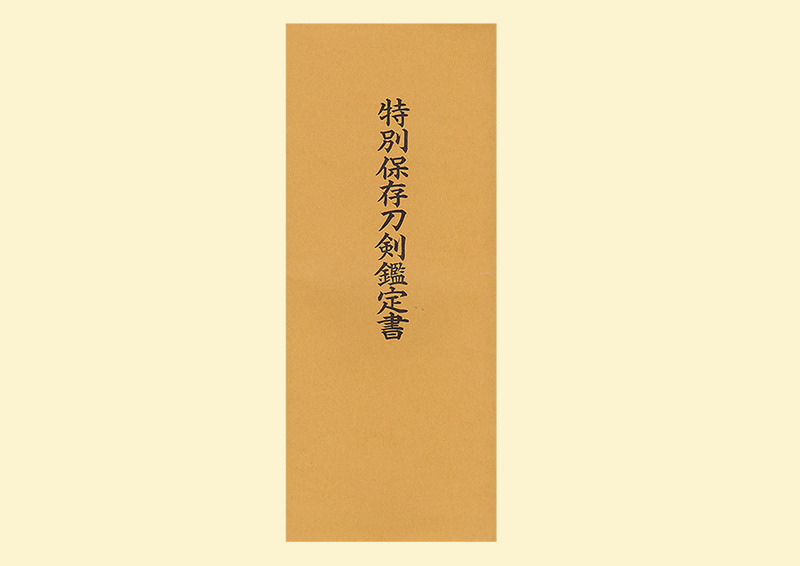 Fuchikashira :On shakudo plate peony is engraved and inlayed with gold.